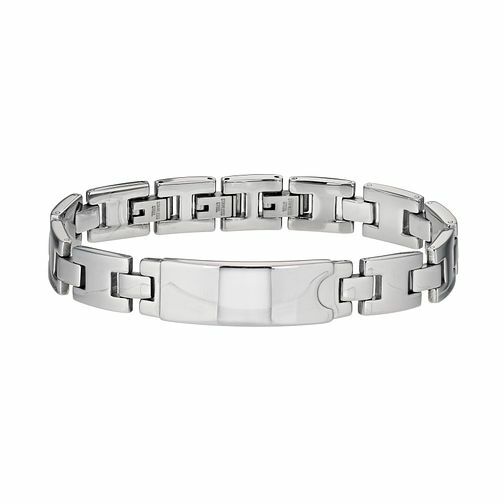 Go for a simply stylish and contemporary look, with this chic stainless steel ID link bracelet. Perfect for a laid back finishing touch. Stainless Steel Link ID Bracelet is rated 5.0 out of 5 by 1. Rated 5 out of 5 by Anonymous from Really good quality This product is really good quality! My boyfriend loved it, im really pleased with this purchase.